June 19, 2014 — The more patients know about pain, the better off they’ll be. 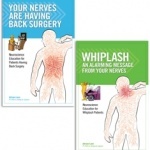 Physical therapist Adriaan Louw‘s popular series of patient books helps treat chronic pain by educating patients on the complex neuroscience of pain in an easily approachable format. His newest book, Why Pelvic Pain Hurts: Neuroscience Education for Patients with Pelvic Pain, deftly weaves through the stigma and complexities of chronic pelvic pain to reveal what’s causing the patient’s pain and puts them on the path to recovery. 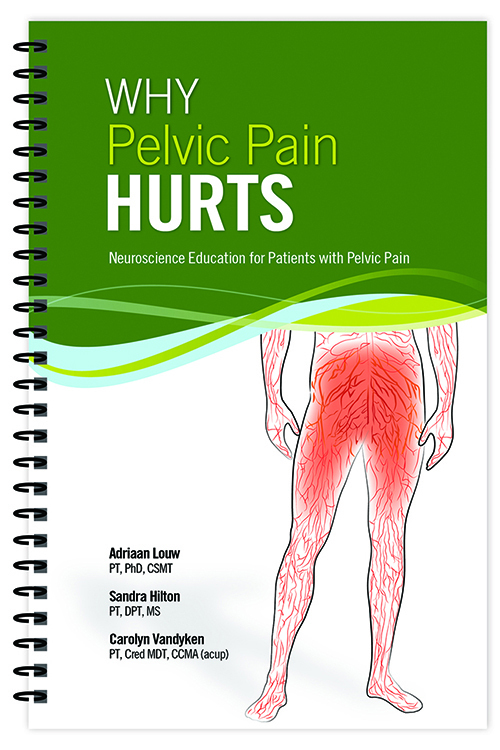 Co-authoring this newest patient book are physical therapists Sandra Hilton and Carolyn Vandyken, who have devoted their careers to pelvic pain research and rehabilitation. Research not only shows that patients in pain want to know more about their pain, but also that those who know more about pain will function better, feel less pain, and be more willing to participate in therapy. Unfortunately, much of the patient education being performed these days is based on the outdated, 350-year-old Cartesian model of pain. This biomedical model assumes that injury and pain are the same, and it steers patient education toward teaching anatomy and using terms like “bulging,” “rupture,” and “tear.” This approach is not only faulty, but may increase fear and anxiety, which can exacerbate the pain experience. 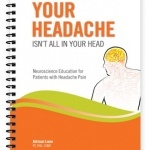 Since it’s now well established that pain that lasts longer than the normal healing period is more likely due to an extra-sensitive nervous system, it’s time for patients to stop learning about anatomy and start learning about pain. Why Pelvic Pain Hurts uses images and metaphors to change a patient’s cognitions regarding their chronic pelvic pain, which alleviates their fears, calms their nervous system and motivates them to participate in therapeutic movement and goal setting. 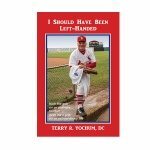 The 70-page patient book is written in patient-friendly language and features full-color illustrations.